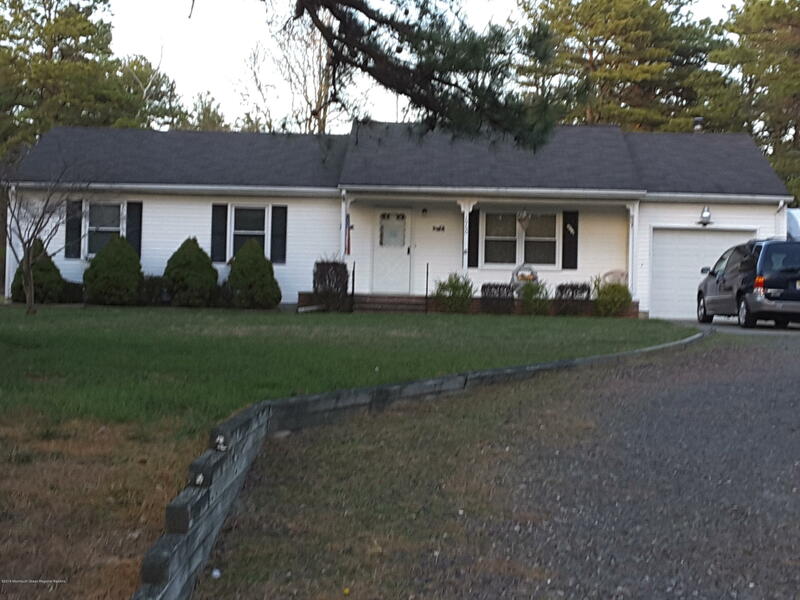 This is a well maintained move in ready ranch. It is nestled on a 1 acre lot, surrounded by trees for privacy. Clean is an understatement. A MUST see, your clients will not be disappointed. Home will not be on market long. Many upgrades new furnace and central air unit, tankless hot water heater, new septic system. This lovely ranch has 3 nice size bed rooms, family room, kitchen 2 full bathroom and a laundry area with an attached garage. Thank you for visiting today. If this is your first visit, take your time and look around. We have plenty of information and resources available to you. If you are a return visitor, thank you. We love to hear from you and help serve all your real estate needs. Copyright© 2019 Monmouth Ocean MLS. All rights reserved. Information deemed to be reliable but not guaranteed. The data relating to real estate for sale on this website comes in part from the MLS. The property information provided on this website is for the personal, non-commercial use of consumers and may not be used for any purpose other than to identify prospective properties consumers may be interested in purchasing. Listing broker has attempted to offer accurate data, but buyers are advised to confirm all items. . Information last updated on 2019-04-20.